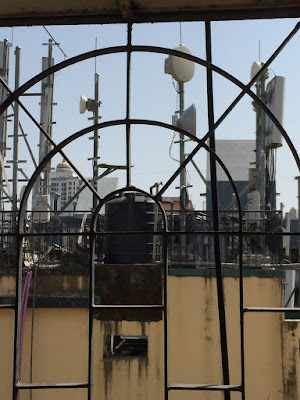 I have been a huge fan of MTNL Broadband on this blog. Out of all the internet service providers I have used, they have proved to be the most reliable and most reasonably priced till date and the customer service experience has not been bad either. Of course with the shrinking base of landline customers, it also stands to reason that they are able to service them better. But the latest TriBand plans from MTNL Mumbai have been a huge disappointment. They favour low-bandwidth unlimited usage and are seem to be priced higher to discourage high-bandwidth, heavy data users. High bandwidth is a misnomer - 2 Mbps is not considered high speed in most developed countries and 256 kbps is not even broadband anyway. With most households now connecting multiple devices wirelessly to the internet (laptops, smartphones, even tablets), speeds below 512 kbps are not going to cut it anymore. With multiple device access, and heavier web pages, the data download has also increased and I have experienced this myself. Downloading apps on the iPad, downloading mail on 3 separate devices, watching more videos has doubled my usage. I used to barely get to 3 GB download per month last year, and this month, I have crossed 7GB. But MTNL has been extremely stingy with its 2 Mbps plans, offering a measly 2.5 GB for Rs. 598. As speed increases, so do downloads, and they just don't seem to get this! The rates for high speed broadband are comparable to the unreasonably high 3G rates. After sifting through all the plans, I have been forced to settle for the Combo 1249, a plan which gives me 75 free calls that I do not want, but at least gives me a 20GB monthly download limit. Hopefully I should be able to keep within that. I was eyeing Combo 1749 (4 Mbps, 50 GB monthly download) but I don't feel rich enough yet. Maybe next year. You can view MTNL Mumbai tariffs here. Incidentally, MTNL Delhi has much better broadband plans. Take a look. The Trib 850 plan offers 4 mbps speeds and 10 GB of monthly download for just Rs. 850 per month, or Rs. 8500 if you pay it annually. For once, I wish I lived in Delhi! And I am not even comparing BSNL here, because it would just get too depressing. BSNL not only offers lower rates, but also higher speeds.